What is silence? Is it simply the absence of noise? The lack of talking? Is complete silence even possible? 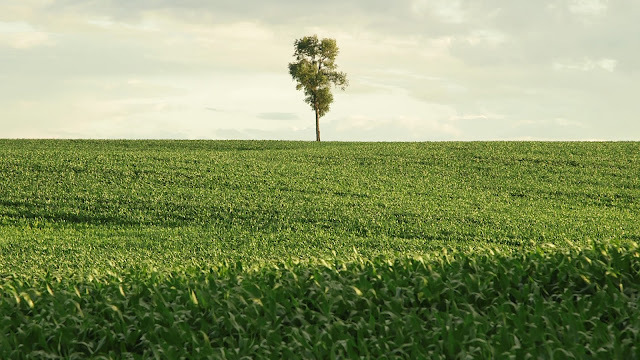 In a world filled with noise pollution, be it mechanical or political, Patrick Shen's meditative documentary, In Pursuit of Silence, seeks quietude away from the hustle and bustle in order to meditate on what it means to truly be in the presence of silence. Shen doesn't just seek silence, he actively explores what silence is. While the answer may seem simple on the surface, the film approaches the topic from angles both scientific and spiritual, as both an absence of decibels and a removal from the world's unnecessary nonsense (memorably embodied by the talking heads of 24 hour news). Through interviews with scientists, theologians, monks, and social advocates, Shen paints a picture of an increasingly noisy world in desperate need of slowing down and appreciating the silence. Whether one finds themselves, finds God, of finds something else in the silence is up to them. But what I found so interesting about the film is that true silence isn't really possible. Even in the world's quietest rooms, isolated from all sound, you begin to hear the sounds of your own body. Escaping noise is more than just escaping loud sounds, it's about slowing down and looking within, taking a moment to separate yourself from the breakneck pace of the world and just existing. In Pursuit of Silence is an almost zen-like experience, filled with breathtaking imagery and haunting moments of complete tranquility. It's easy to find oneself feeling drowsy while watching it, but that doesn't mean it's boring. In fact, it's quite mesmerizing. But as it unplugs itself from the world's overbearing noise pollution, its hushed aural qualities lend themselves easily to relaxation and peace. In w world of constant social media updates, political grandstanding, and competition, Shen looks for something more. It says something about who we are that the idea of silence feels so alien, even radical, to the point that the film feels like a philosophical meditation on a completely abstract concept. There's something deeply beautiful about its simple quest for a moment of peace in a hectic world. There's so much going on around us that we miss because of our constant connectedness. Shen isn't asking us to unplug, or shaking his fist at the "kids these days," but looking at a world where noise, both literal and figurative, has become detrimental to our health. At 81 minutes, it feels brief, and it establishes its thesis rather quickly. But there's undeniable power in its brevity. 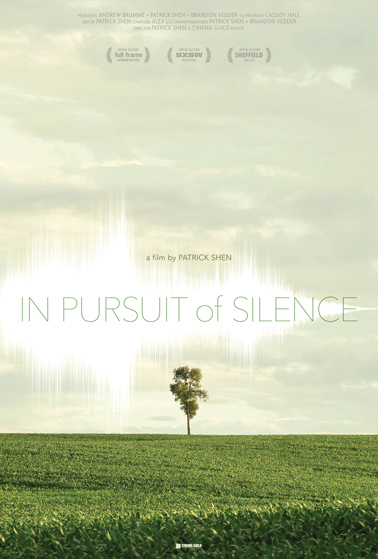 In Pursuit of Silence is the kind of film that may make you want to find a quiet room and just...be. IN PURSUIT OF SILENCE | Directed by Patrick Shen | Not Rated | Now available on Blu-Ray and DVD from the Cinema Guild.